McKeon Products, Inc. announces U.S. retail availability of Airmax™ Nasal Device, a clinically proven endonasal device that increases airflow for individuals who have difficulties breathing through their nose while sleeping. The Airmax™ Nasal Device expands nasal passages for better airflow. Additionally, the results of a recent study show that consumers preferred the Airmax™ over other nasal device alternatives. McKeon Products, Inc. is pleased to announce that their new Airmax™ Nasal Device is now available in two major retailers across the U.S. including Albertsons and Harris Teeter. This comes as exciting news as this highly anticipated device is now gaining traction into major chains, making Airmax™ available to consumers nationwide. Along with these major retailers, Airmax™ can also be purchased via three Internet retailers. Albertsons is a retail grocery chain with over 1,075 supermarkets located in 29 states. Product availability varies by state. Harris Teeter is a retail grocery chain with over 200 stores in eight states. Airmax™ can also be purchased via the following online retailers: http://www.myOTCstore.com, http://www.drugstore.com and http://www.snoremart.com. 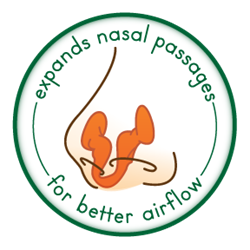 The Airmax™ Nasal Device is a clinically proven endonasal (inside the nasal passage) medical device that increases airflow, providing a simple and effective solution for individuals who have difficulties breathing through their nose while sleeping, or as a result of colds and allergies. Airmax™ is different from other nasal devices on the market, as it expands the narrowest parts of the nasal channel allowing maximum airflow. Multiple clinical studies have proven its effectiveness in improving airflow, reducing snoring, and reducing mild sleep apnea. Additionally, the results of a recent study show that consumers preferred the Airmax™ over other nasal device alternatives. Since 1962, McKeon Products, Inc. has led the retail ear care industry with its original and #1-selling Mack’s® Pillow Soft® silicone ear plugs. Mack’s® is the #1 doctor recommended ear plug brand in the U.S., with a variety of products designed for sleep, travel, music, swimming and overall noise reduction. Mack’s® is also the #1-selling brand of ear plugs and the official ear care line of USA Swimming®. Today, McKeon manufactures a full range of health care products for consumers, including moldable and pre-molded silicone and foam earplugs for all your hearing protection needs. The Mack’s® line of products also includes ear drying aids, earwax removal aids, nasal sprays, sleep masks, musicians’ ear plugs, ear muffs, and screen and lens wipes. McKeon, an ISO 9001:2008 quality certified company, is committed to supplying the highest quality, innovative products at the lowest possible price. 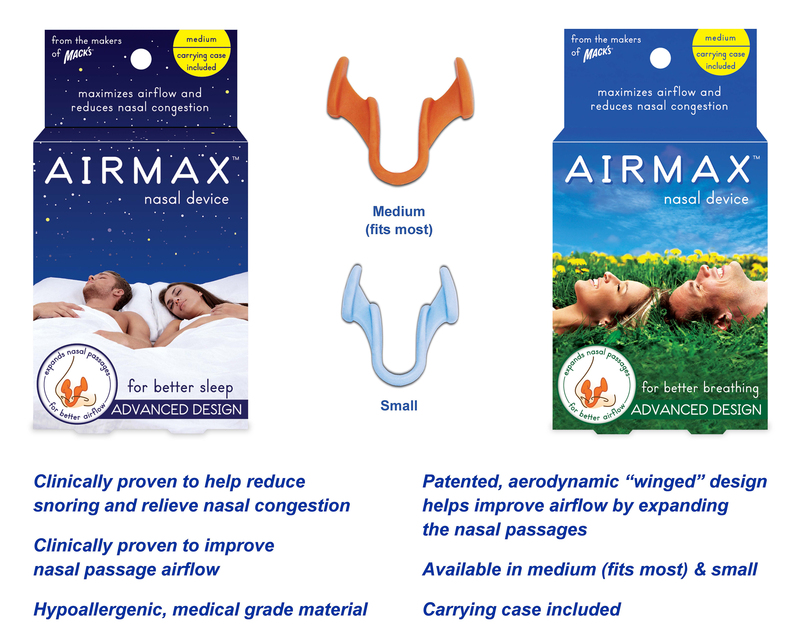 The Airmax™ Nasal Device is important in helping consumers address nasal breathing difficulties and sleep challenges.